How do dopaminergic neurons of the basal ganglia degenerate? Although, the exact mechanism for this phenomenon is not clear, there have been some theories. One such theory is that a normal mechanism of cell death called apoptosis may be accelerated. Apoptosis is a natural part of all systems; whereby a cell, which has grown old or begins to malfunction, undergoes a cascade of events that dismantle it before replacing it with a new cell. An example of normal apoptosis failing to happen is cancer. 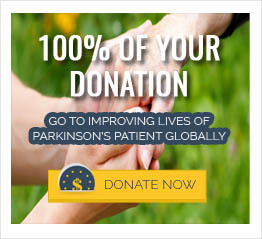 Recent advances now have the scientific community researching the role of free radicals and mitochondria in signalling apoptosis, resulting in Parkinson’s disease-related neuronal death. Another theory is that there may be toxic substances present in the cell and the processes used to clear these substances are not working properly. Mitochondria are microscopic power plants within cells that convert sugars and fats into a usable form of energy known as adenosine triphosphate (ATP). These mitochondria are found in most cells of the human body and are essential for life. While producing energy for the rest of the cell, some toxic by-products are formed within the mitochondria. These are referred to as free radicals. The body has evolved innate mechanisms to protect itself from these free radicals. If unsuccessful, however, the free radicals will damage the mitochondria. This damage will release a complex known as cytochrome C from inside the mitochondria into the plasma of the cell; which is a signal that the cell is damaged beyond repair and for apoptosis to ensue. Once this apoptosis occurs in the neurons of the substantia nigra, normal cell architecture is lost and instead round inclusions known as Lewy bodies appear on histology.